The federal government has been sidetracked by the issues of distracted driving and vehicle defects and is not doing nearly enough to force automakers to incorporate new safety technologies, according to the Insurance Institute for Highway Safety. Our Fort Myers car accident lawyers frequently report on steps being taken by the federal government to reduce the dangers associated with text messaging and cell phone use by drivers. Florida is one of the few states in the nation that has not passed a law aimed at reducing the threat. Recently, we reported on our Florida Injury Lawyer Blog, that the winner of a teen-driver-safety campaign would see their public service announcement played at a nationwide distracted driving summit planned for later this month in Washington, D.C. The National Highway Traffic Safety Administration reports about 34,000 traffic fatalities occur each year in the United States. 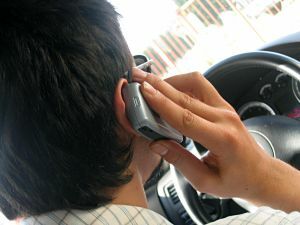 It reports about 6,000 people are killed and 500,000 are injured each year in accidents caused by distracted driving. With car accidents being the number one cause of accidental death in the United States, the Insurance Institute says more emphasis should be placed on pushing the auto industry to adopt available crash-prevention technologies. Naturally, the U.S. Department of Transportation vigorously rejects the Institute’s assessment of its priorities, according to a response published in the target=”_blank”Wall Street Journal. “Safety is the Department of Transportation’s number one priority, which is why we are aggressively and urgently tackling a number of risks to drivers’ safety. We are going to continue taking drunk drivers off the road, getting people to put down their phones and other distractions, making sure cars and trucks are safe to drive, and doing whatever else is necessary to keep Americans safe behind the wheel,” a DOT spokeswoman said in a statement.